I knew I wanted a cabin feel for this session. I’ve been friends with Amber since high school so it was not only a honor to be able to capture her and her husband but a true blast! So after many many (I’m not exaggerating) text messages and pictures for inspiration being sent back and forth we finally knew what style we wanted for the cabin. It was perfect, all the final details came into play! I knew it was going to be super windy that day too with a slight cold front so I was ready to capture all the movement during their session and we did just that! It was awesome. I can’t stress enough that if you’re a potential client of mine then please please trust me when I say we will embrace the wind, rain or whatever the weather throws at us on the day of your shoot. I lOVE movement in my images. 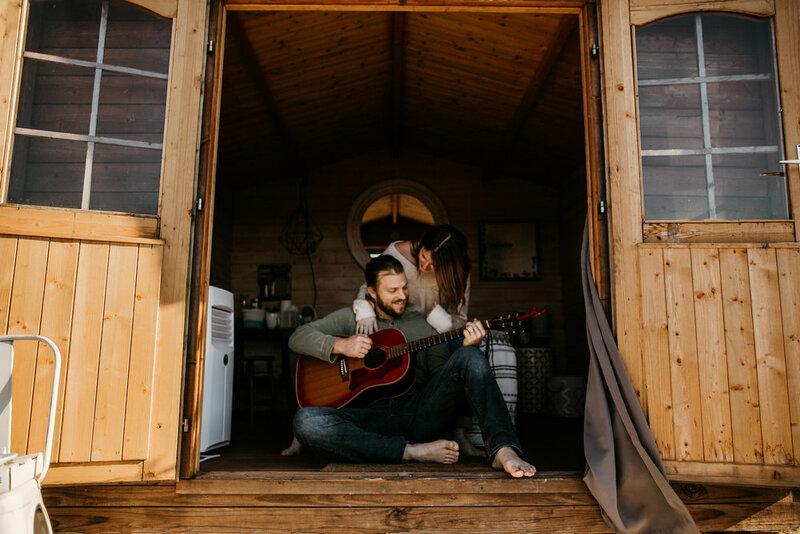 I stumbled upon this amazing little cabin in my hometown of Dripping Springs, Texas a few weeks prior and knew this location would be just perfect for this session it was just what we were looking for and what better way than to support local right? Jennifer collaborated with me, over at 13 Acres Tribe and she was so sweet and friendly. She helped set up this location for us to use for this shoot and it couldn’t have been more perfect. If you’re ever wanting a quiet, unplugged hill country experience then you must stay here with several cabins to choose from, he views alone are incredible! The cabins are fixed up with all the necessities for the perfect “glamping” experience along with fun wooded trails. You can book your next airbnb stay here . We also worked with a local pizza eatery called Hop’d Up Pizza also located near Dripping Springs, Texas located inside Suds Monkey Brewery. They make some of the best New York style pizza we’ve tried yet! 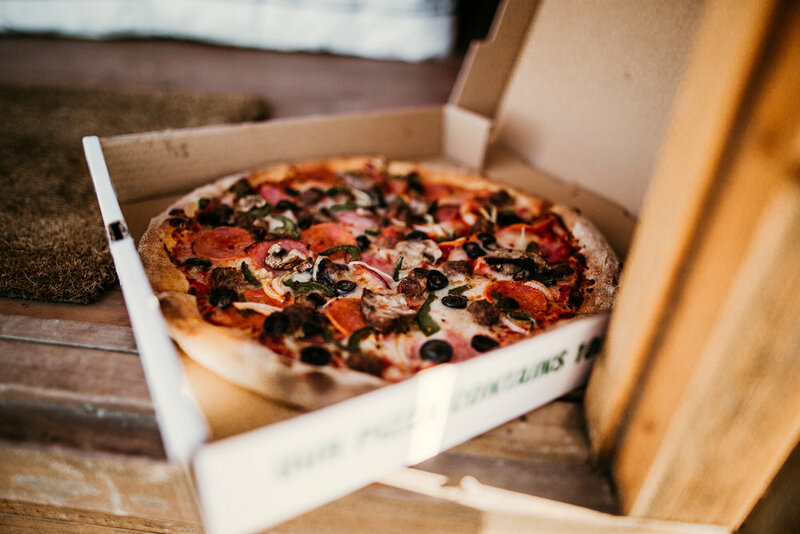 We had the honor of tasting the ‘Cyclone’ for this shoot which is their version of a supreme pizza. If you go try them out tell them Wanderlust Souls sent you! Book us now for your cabin couples session now! Give the Gift That Will Last a Lifetime! Gift Certificates NOW AVAILABLE!